Average 3/5 out of 3 total votes. 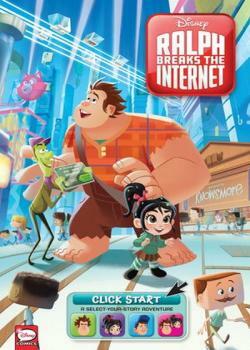 A select-your-own-style prequel to Ralph Breaks the Internet: Wreck-it Ralph 2, takes Ralph and BFF Vanellope von Schweetz on a journey through the internet with you in the lead! Then, in a bonus 8-page short sequel to the film, Vanellope explores the wonders of OhMyDisney.com.